Six youths in GreenFleet’s after-school boatbuilding program launched two Bevin’s skiffs in April 2011. They modified them from the original Joe Youcha design by raising the freeboard 1″. 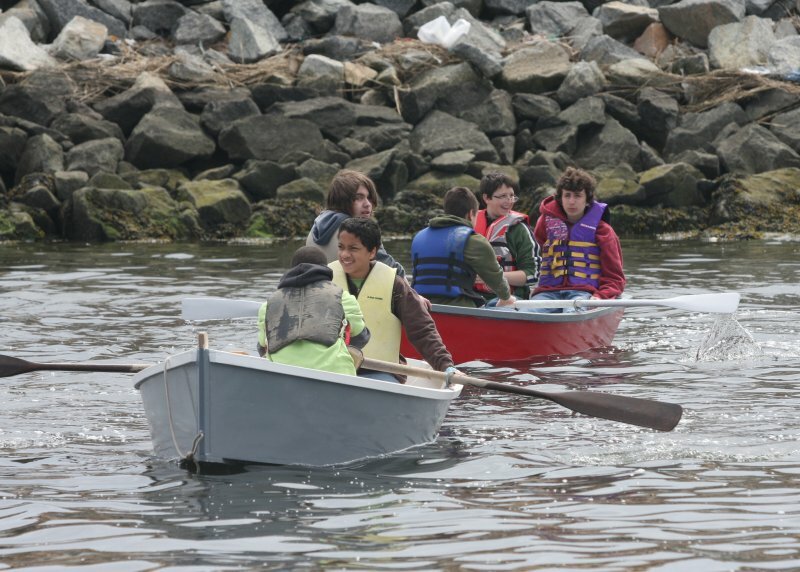 The boats will be used in GreenFleet’s summer environmental education and stewardship program. Plans are available from the Alexandria Seaport Foundation. Click here for more information about GreenFleet's programs.